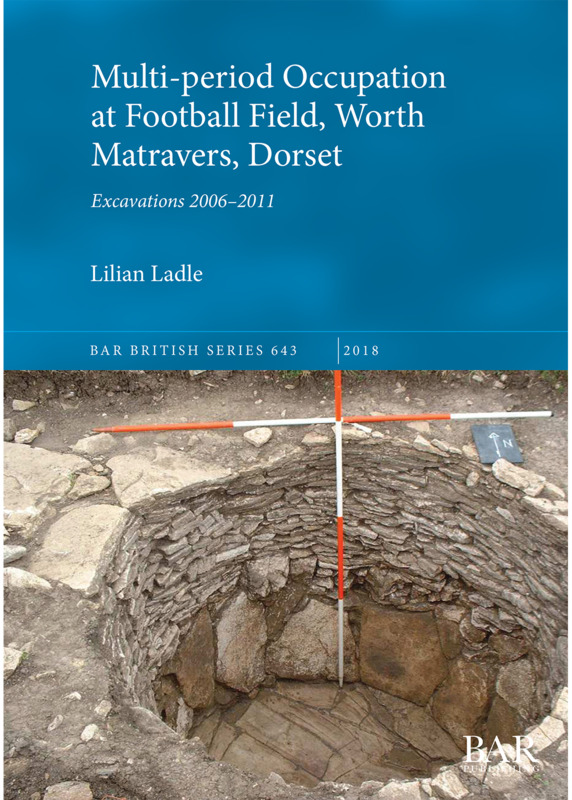 This book presents the detailed results of excavations at a small multi-period site in south-east Dorset. The site provided evidence for an Early Neolithic enclosure, a timber-framed, Late Bronze Age roundhouse, Late Bronze Age/Early Iron Age middening activities, Iron Age and Roman settlement and a post-Roman inhumation cemetery. The midden and its associated features and finds are of particular significance, with evidence for deposition and accumulation over several centuries. Other important features include: a Late Iron Age stone-lined pit containing over 100 near-complete pots and a substantial quantity of animal bone, suggesting a large-scale communal gathering and feasting activity; a Roman barn, used as a shale workshop and as a burial place for infants; a 6th- to 8th-century AD cemetery of single, double and triple graves, illuminating the nature of change in burial practices in Dorset at this time; and significant pottery and animal bone assemblages, particularly from the Late Bronze Age/Early Iron Age and Late Iron Age. Lilian Ladle is an independent field archaeologist and a Visiting Fellow at the Centre for Archaeology and Anthropology, Bournemouth University. She directed a 13-year project on the multi-period site at Bestwall Quarry, Wareham and is currently directing the Druce Farm Roman Villa excavations near Dorchester. She was awarded the MBE in 2008 for services to archaeology.